Hampstead Condominiums are located at 655 E 600 N Provo, UT 84606. 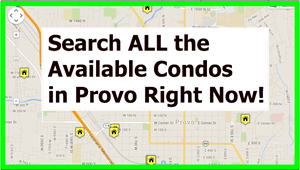 The Hampstead Condos Provo Utah are BYU approved for Females. Please contact BYU offcampus housing for their current status. 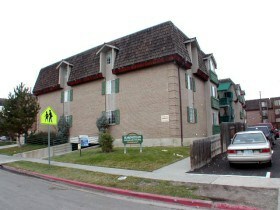 The Hampstead Condos Provo Utah were built in 1985 and have 16 units. The Hampstead Condos have been FHA approved. Please check with your local lender for the current FHA status. The earliest recorded sale on the Hampstead Condos in Provo was $104,900 back in 1996. The prices on the Hampstead Condos moved from $104,900 to $115,900 between 1996 – 1999. The prices moved from $143,000 to $152,800 from 2000 – 2004. The prices seemed to take a large jump from 1999 to 2000. The prices moved from $168,000 to $171,000 between the years of 2005 to 2007. Prices typically range between the floors. The top floors in a condo typically get more money. The last recorded sale was on 04/13/2012 and this condo was asking $187k. This Hampstead condo was under contract for $185,400 six days later. This was the highest recorded sale on the MLS at Hampstead condos. Prices at the Hampstead Condos appear to keep climbing. Are You Looking to Buy a Hampstead Condo? Paul Teasdale with Team Teasdale Realty will check the MLS and attempt to find you a Hampstead condo for sale. The challenge with this condo complex is that they are not put for sale very often. If you would like to do a direct search and see if you can find one feel free to use our public MLS condo search at the bottom of this page. Are You Looking to Sell a Hampstead Condo? If you own a Hampstead Condo contact Paul Teasdale. Paul will research the latest sold condos at Hampstead and around Hampstead. This free service will give you an idea of the current value of your Hampstead Condo Provo Utah.